Used Car Safety Ratings – which medium sized cars top the rankings? In Part 2 of Are You Selling’s series on car safety, we look at the safest used cars in the medium size category, as ranked in the 2014-15 Used Car Safety Rating report from Monash University Accident Research Centre. All are recommended ‘Safe Picks’ on the How Safe Is Your Car website, designed to help you avoid a headache when you hit the car yards. The following models all won a five-star Driver Protection rating – not guaranteed to keep you safe, but the best in their class. You still have to drive them carefully, of course! Ratings are estimated from data on real crashes reported to police in Australia and New Zealand and provide a very high level of confidence. Front, side and curtain airbags are standard. Featuring excellent protection for other road users, the Audi – as you’d expect – is a safe build. The offset crash test score goes up from 12.39 out of 16 in the 01-08 model, to 14.45 out of 16 for the newer model introduced in 2008. All models score 16 out of 16 in the side impact crash test. Dual front airbags, side airbags and head-protecting side cushions are standard, along with Antilock brakes (ABS) and electronic stability control (ESC). The front seat belt buckles are mounted on the seats and upper anchorages are adjustable, so improving the fit of the seat belt. Pretensioners on the front seat belts reduce slack in the event of a crash, while a three-point seat belt fitted to the centre rear seat gives better protection than two-point. Advanced seat belt reminder and well-mounted buckle and anchorages. The tested models were introduced in Australia in 2005, scoring an impressive 15.56 out of 16 in the offset crash test. Scoring 15.09 out of 16 in the side impact test, however, there was a slight risk of serious abdomen injury for the driver. 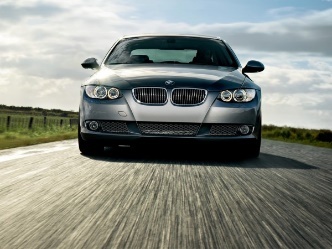 Dual front airbags, side airbags, head-protecting side curtains, ABS/EBD brakes and ESC are all standard features of the E90-93 3-series. Both front seats have advanced seat belt reminders, with mounted front seat belt buckles and adjustable upper anchorages. Pretensioners at the front and a three-point seat belt centre rear complete the protection. Maintains passenger compartment shape well and gets maximum side impact score. This information relates to the 2005 petrol model. Scoring 13.4 out of 16 in the offset test, the passenger compartment held its shape very well. A full 16 out of 16 was scored in the side impact crash test. Dual front airbags, side airbags, head-protecting side curtains and knee airbags are standard, along with ABS/EBD brakes, ESC and advanced seat belt reminders fitted to both front seats. A rear view camera is available for the Sports variants. Mounted front seat belt buckles, upper anchorages, pretensioners and three-point seat belt at centre rear are included. Impact scores have been steadily increasing with every upgrade. 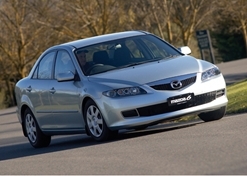 The original Mazda 6 was introduced in Australia in 2003, and this model scored 11.23 out of 16 in the offset crash test. The 2005 model scored 11.71, slightly better. 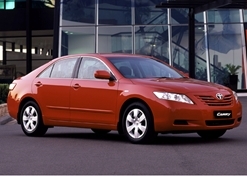 The 2003 model scored only 13.04 out of 16 in the side impact test, rising to 14.49 out of 16 for the 2005 model. Dual front airbags, side airbags and head-protecting side curtains are standard equipment on all variants from December 2003, along with ABS brakes. Advanced seat belt reminders are fitted to all seats in Europe, earning the Mazda 6 three bonus points to give it a five-star rating. Maintains shape well but protection from serious leg injury marginal for drivers and front passengers. 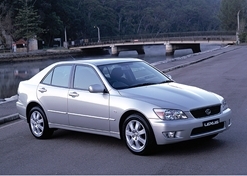 Introduced in Australia in 2006, this Camry is rated as offering good protection to other road users. It scored 12.29 out of 16 in the offset crash test – the passenger compartment held its shape well, but protection from serious leg injury was marginal for both driver and passenger – and 14.24 out of 16 in the side impact test. With dual front airbags, ABS and EBD as standard, the side airbags and curtains are optional on the Altise, and standard on other Australian variants. Mounted front seat belt buckles, adjustable upper anchorages, pretensioners and three-point seat belt in rear centre are all included. Even older VWs rank well for safety with maximum points for side impact tests. 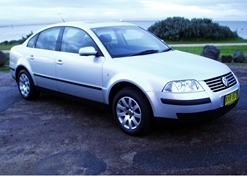 The VW Passat was introduced here in 2001, and this rating applies to the 2003 model. It might be a few years old now but even the more elderly VW models rank highly in the safety ratings. The Passat scored 11.87 out of 16 in the offset test, though protection from serious chest and leg injury was marginal for the driver. However, it scored 16 out of 16 in the side impact crash test. Even these early models have full airbag and curtain coverage, along with ABS brakes. The Passat has all the seat belt features of the Toyota Camry. MORE: Used Car Safety Ratings: Which Small Car Gives 5-Star Protection?